Finest Journeys on the Road – Before you get to experience the authentic Europe, we do it ourselves! Find out where we go and who we meet to deliver your dream European trip. 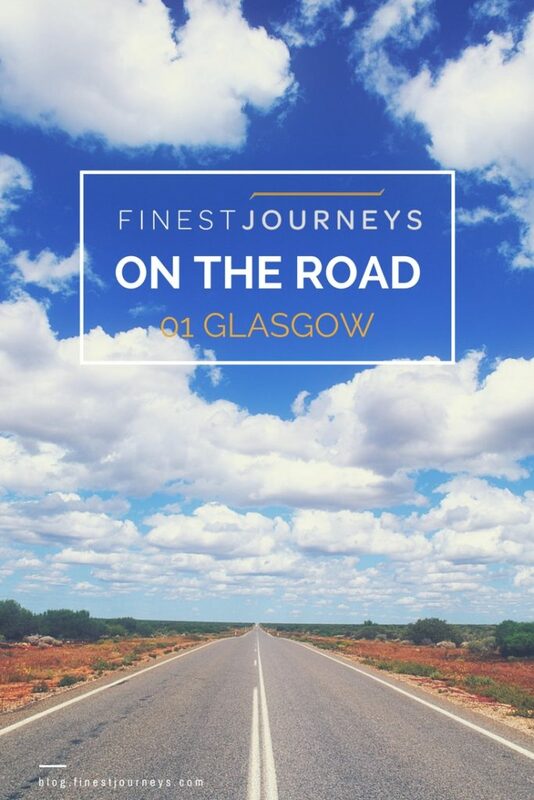 Andrew, Finest Journeys’ co-founder and UK Expert was on the Road! Besides finding great partnership opportunities for future tours, he also got a change to explore Glasgow. Read further to find his Scotland travel tips and more! What was the main purpose of your trip? I attended a tradeshow organized by Scotland’s tourist boards in Glasgow. The main goal was to seek out unique Scottish experiences and contract high quality hotels with authentic Scottish character – mostly castles. Glasgow is a hilly city with fine stone built Victorian architecture. It’s the largest city in Scotland and the center for music, architecture and nightlife. Also the people are very friendly (if you can understand the accent!). The Burrells supplied steam-powered engines throughout the world until the internal combustion engine took over from steam power. The staff is very informative and it’s a great place to learn more about British history. This is a free entry museum perfect for families and especially for those who love all types of cars, buses, trains… they even have vintage skateboards. Bring a warm Coat and talk to friendly locals. What exciting future partners did you find in tradeshow? I look forward to adding them to our tours. What were the main insights you learned in the tradeshow? Hotels in Edinburgh are at over 90% in occupancy and contracts for individual travelers are becoming more limited. We also have been getting more requests for tours around Scotland, so it is very popular right now. Canada is also growing as a source market.